The driver of the vehicle shall be considered to be the user and all transactions will be executed solely between the user and Just Drive. The following agreement is between the user and Just Drive. The agreement governs the terms and conditions of usage of Just Drive services such as our website, iOS and android application and rental service. Just Drive reserves the right to make any necessary changes in the terms and conditions of the agreement without any prior notice. In the case of any alterations to the agreement, the user will be notified through on the Just Drive website or Mobile Application. An email will also be sent to the user. It is considered that a user has read and agreed to the latest terms and conditions at the time of booking the vehicle. A booking is confirmed once the payment has been processed and any such payment is considered an agreement by the respective user to abide by the terms and conditions mentioned herein. In case a user is found to violate any criteria listed in this document, Just Drive may revoke his/her membership and/or refuse service without any prior notice. It is mandatory for every user to register on our website or through our iOS and android application on a mobile device. Users are responsible for providing and maintaining current email, cell phone, address, and other account information at the time of registration. A user will be permitted to book a vehicle only after he/she has obtained a registered account on the Just Drive website or mobile application. The user must be minimum 18 years of age and should have a valid driving license issued by the concerned regional transport office. However, certain vehicles are provided at the minimum age of 21and for Sports bike minimum age is 23. Just Drive retains the right to refuse membership to any applicant, even if he/she satisfies the above criteria. Granting of membership is solely on the discretion of Just Drive. Just Drive vehicles should be driven only by Just Drive members. If a person is not registered on Just Drive as an active member, he/she will not be allowed to drive the vehicle. By applying for membership, an applicant authorizes Just Drive to verify the submitted documents through the concerned authorities. A user is not allowed to create multiple accounts with same driving license. Just Drive retains the right to cancel membership and ride if a user is found to be using same driving license for creating multiple accounts. The user must upload a scanned image or a photograph of his/her license on our website. Only Documents issued by the Government of India such as Original Driver’s license, Aadhaar card, Passport, etc. will be considered as valid ID proof. If a user is unable to verify their identity, the booking shall be considered void. The user must present their Original Driving License to the authorised Just Drive Staff at the pickup point. The possession of vehicle will not be granted to a user in case he fails to meet the above requirements. Just Drive vehicles are solely for the purpose of personal use. The vehicle cannot be used as a taxi or for transporting people for monetary gain. Just Drive vehicles cannot be used for races, exhibitions and/or any contests. Just Drive vehicles cannot be used for towing, pushing and/or propelling another vehicle or object. ust Drive vehicles cannot be used by a person under the influence of (a) Alcohol and/or (b) Any mind altering substance which can impair the user’s ability to drive. Use of narcotic substances is strictly prohibited. If a user is found to be under the influence of these substances, Just Drive will not grant possession of the vehicle to the user. The booking fee will be reimbursed to the user’s account as per Just Drive’s Refund Policy and the user can be blocked from making any bookings with Just Drive. Incase users consume alcohol after the ride has started and gets into any unexpected events the User will be solely responsible for all outcomes thereon (Insurance liability, third party damages, self-damages, police involvements etc). Users will not be allowed to carry the following items on the vehicle: Weapons or any sharp or inflammable object which may cause damage to the vehicle or endanger human life. Any item/object whose possession has been deemed illegal by the Indian Penal Code. Any item or object which compromises the stability, safety or performance of the vehicle and/or the passengers. Just Drive holds the right to refuse a booking if the user is found to possess any of the above items. The vehicle will not be used in a negligent or abusive manner. In the case of non-compliance, appropriate actions may be taken against the user by the concerned authorities. All bookings have to be made solely by the registered user themselves via our Website, iOS or Android platforms well in advance and prior to pick up. Bookings are processed by our system automatically on a first come first serve basis. Just Drive does not guarantee the availability of any particular vehicle at any given time. Vehicle availability is dynamically updated in our system to reflect real-time changes. In case if any additional charges are to be paid, we strongly recommend to make payment Online via credit/debit card. Extension will be granted if and only if the vehicle is available for the requested period of time. Home Booking rides extension is not possible within 4 hours of selected end time. An extension to the rental period of the vehicle will be granted subject to availability. The charges for the extension period will be applicable as per normal rates given on the website. All expenses incurred during the rental period on the vehicle such as parking fee, fine, challans etc. will be borne by the user. Just Drive allows a user to book a car for unlimited KMs. Under this, user can drive unlimited KMs without any extra rental charges. However, Just Drive will not pay for the fuel cost. The user will get the vehicle with full fuel tank in case of car. He/she has to return it in full fuel tank condition or similar level as provided to the user during the vehicle handover. Please refer to our Tariff section for more detailed information. 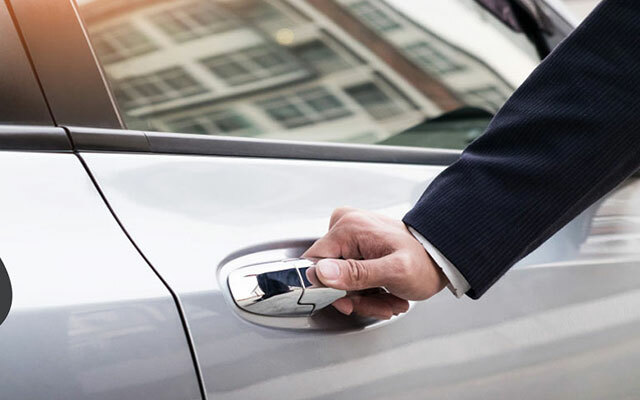 The user can collect the pre-booked vehicle from the designated Just Drive parking after verifying his/her identity and on completing the requisite paperwork. Booking time is calculated from the moment, the user gains possession of the vehicle’s keys. Prior to taking possession, it is the User's responsibility to inspect the vehicle carefully. In the event of any damages or malfunction, the user should inform Just Drive immediately. It is the responsibility of the user to return the vehicle in the same condition as at the time of pickup. In case the interior and/or the exterior of the vehicle is found to be soiled and/or damaged, cleaning charges and/or penalty will apply accordingly depending on the extent of the damage, to be decided by Just Drive after the ride has ended. Just Drive requests its users to kindly check all the features of the vehicle. In the event of any queries, the user is free to contact a Just Drive official. In case the user is dissatisfied with the performance of the vehicle, he/she must inform a Just Drive official at the time of pickup. In such an event the user will be provided an alternate vehicle of his/her choice as per availability. In case no alternate vehicles are available, the booking deposits will be reimbursed to the user’s bank account as per specified by the user at the time of booking. In order to return possession, the user must hand over the keys of the vehicle to a Just Drive employee at the designated parking space. If the keys are not returned, Just Drive will consider that the user is yet to return possession and the user will be billed accordingly. The vehicle must be returned at the authorized Just Drive pickup point only. In case the user fails to return the vehicle on time for any reason whatsoever, penalty charges will apply accordingly. The Safety of Just Drive users and passengers is a top priority. All vehicles are examined periodically in order to ensure that they are in compliance with India’s vehicle safety standards. Just Drive expects its users to ensure the following to help us avoid safety issues: (i) The user must ensure that all passengers wear safety belts. (ii)The number of passengers must not exceed the seating capacity of the vehicle. Just Drive reserves the right to fine or block a user due to non-compliance of the above. Just Drive is not responsible for any accident and/or injury caused to the driver and/or any of the passengers due to personal negligence or negligence of the driver. If an accident occurs, FIR/NOC will be required from the customer. Additionally, driver's original driving license will be held for insurance claiming purpose, which will be returned after 5-6 working days. The user is responsible for the security of the vehicle. The user is held liable to ensure that the vehicle is adequately protected from expected adverse weather conditions and is parked in areas taking appropriate precautions to avoid any untoward incidents. In the event of theft, the user must report the incident to Just Drive immediately and file a complaint at the nearest police station. The user will be held responsible for any discrepancy or misinformation if any in the filing of the complaint and appropriate action may be taken by the concerned authorities, legal or otherwise. The user must ensure the safety of all equipment in the vehicle which has been provided by Just Drive. In case any equipment is misplaced by the user, he/she will be charged for the same at the discretion of Just Drive. In case the vehicle is equipped with a GPS navigation system, it is the duty of the user to remove the device from the dashboard and store it in the glove box. In case of preventable theft of the GPS device, the user will be charged a penalty as per the discretion of Just Drive. The user is responsible for the safety of their belongings. Any item, electronic device or personal belonging left in the vehicle will be returned to the user (if found) after due verification. Just Drive however does not guarantee the return of any items left behind. Just Drive is not liable to reimburse any expenses borne by a user due to cancellation of any third party associated plans that are not connected with Just Drive or the services provided by Just Drive; due to any vehicle breakdown, accident, damage or issues caused due to the vehicle or service. When a booking is cancelled by the user through the Just Drive mobile application or website. Alternatively, the user may also contact the customer care and request a cancellation. After charging our cancellation fees as mentioned below, any remaining amount paid for the booking will be processed to the original method of payment. The refund will be processed within a maximum timeframe of 7-9 working days. In case of cancellations prior to 24 hours of pickup time, user will not be charged. For cancellations made within 24 hours of pickup time, user will be charged 5% of the transaction amount subject to a maximum of INR 2000. In case a ride is cancelled due to inability to produce an Original valid license or valid Govt. Id during ride pickup, 15% deductions will be applicable. At times when we are unable to provide a vehicle for a booking due to reasons such as accident, damage, service, late handover by previous user etc. ; we will process a full refund of the entire amount of the booking back to the original method of payment. The refund will be processed within a maximum timeframe of 7-9 working days. Minor repairs (expense under INR 1,000) such as changing bulbs or refilling of coolant. For damages which require expenditure in excess of INR 1,000 the user is requested to inform a Just Drive official before initiating any repairs. If the user initiates any repairs without informing Just Drive, no reimbursement will be given. The user must submit a printed receipt with his/her name written on it. Hand written receipts or receipts without the name of the user will not be entertained. The receipt must be handed over to a Just Drive employee while the vehicle is being returned. Late submission of receipts will not be entertained. Receipts will be verified to validate expenses that occurred during the time of the issue or booking. The particulars mentioned herewith are non-exhaustive and Just Drive reserves the right to process reimbursement based on due internal investigation and verification of claims. Just Drive conducts periodical checks on vehicle performance and ensures that hired vehicles are clean. Just Drive expects its users to help us maintain our standards of cleanliness. The user must ensure that the vehicle is not soiled while returning possession. Burning of any substance inside the vehicle is strictly prohibited. This is not limited to but includes cigarettes, incense sticks or any form of medication/drugs. Just Drive reserves the right to block, penalise, fine the user at our own discretion in event of non-compliance of the above. In the event of vehicle breakdown or member failure, the user should inform Just Drive immediately. In case the vehicle cannot be repaired at the location of breakdown, a replacement vehicle will be provided by Just Drive, subject to availability within 50kms radius of Just Drive pickup points. he user will have to bear the expenses of towing, repair and other costs if a replacement vehicle is not available or Road Side Assistance(RSA) is unable to resolve the issue or the breakdown is due to customer negligence. For any issues that the user experiences with the vehicle mechanical/electrical condition, we urge the user to bring it to our attention by informing our Customer Contact Centre or our Fleet Executives. Issues that are brought to our attention within 50 kms of the ride start point will be duly noted and hence considered as a valid issue with the vehicle. Issues that are brought to our attention or informed of beyond 50 kms of the ride start point will be considered to have occurred due to negligent, harsh, rash, incorrect use of the vehicle by the user as member failure and will not be entertained. Issues with engine components, particularly that of clutch, will be noted only if brought to our attention within 50 kms of the ride start point. This list is non-exhaustive due to the variability in issues caused as part of any vehicle and Just Drive reserves the right to deny claims of reimbursement for issues stemming due to member failure as defined above. It is the responsibility of the user to inform Just Drive in case of any incident which has caused damage to the vehicle and/or any public or private property or any incident which has caused injury to individual(s) and/or animal(s). It is mandatory for the user to file a police report in such an event regardless of liability or fault. In such an event the user must provide the following details to Just Drive: Name, address and the license number of the user driving the vehicle at the time of the incident. Name, address and contact number of witnesses (if any). Circumstances of the incident describing the immediate environment of the incident and position of the vehicle prior to the incident. In the event of any lawsuit, users are expected to assist the authorities with investigations (if any). In case any lawsuit against a user is proved in the court of law, Just Drive reserves the right to revoke membership of the individual. The user is responsible for traffic rule violations (if any). This includes but is not limited to wrong parking, over speeding, breaking red light at a crossing and toll violations. The user is liable to pay any penalty charges involved. In the event of toll violation, the user is must inform Just Drive immediately. If Just Drive learns of such an event from a third party, the user will be informed though an e-mail. The user must bear the relevant fine to the concerned authority and submit a proof of compliance to Just Drive. In case the user has prior knowledge of such violations, Just Drive is not obligated to inform the user. The responsibility of any unreported traffic rule violation rests solely with the user and Just Drive will not bear any responsibility whatsoever. In case of any accident/total loss of the vehicle, it is mandatory that the user provides an NOC to Just Drive obtained from their local RTO, which issued the user’s license, stating that the user was not involved or associated with any such incidents that occurred previously in any manner and that the user was not involved in any such accidents or has any registered complaint against them for the same. Member deductible obligation If a user is in compliance with the Terms and Conditions of the Just Drive, the company shall provide primary liability protection, which is the extent of claims / liabilities covered by Just Drive’s vehicle insurer, on Just Drive vehicles for claims and/or liabilities arising out of the use or operation of the vehicle by the Member. User will be responsible for any associated deductible personally attributable to the user. If it is determined that losses will exceed the user’s coverage as provided by Just Drive, the user will be responsible for excess charges Just Drive does not take responsibility of theft or damage to the user’s or any third party’s belongings. In case of annulment of the Insurance policy due to user's negligence, rash driving or any such incident, user has to pay the showroom repair cost of the vehicle. Liability protection applies only to claims of third party bodily injury, death or property damage, other than to the vehicle, arising from the use of Just Drive vehicle as permitted by this agreement and applicable law. Such protection excludes any claim made by the user or the user’s immediate family members who live with the member or are travelling with the member at the time of the incident. The user indemnifies and holds Just Drive, its parent and affiliates and their respective directors, officers, employees, shareholders, agents, attorneys, assigns and successors-in-interest, harmless for all losses, liabilities, damages, injuries, claims, demands, costs, attorney fees and other expenses incurred by Just Drive (A Loss) arising from: The use or possession of a Just Drive vehicle by a user. The user’s non-compliance with this agreement. This Agreement is intended for the benefit of Member and Just Drive and no other party may claim rights hereunder, whether as a third-party beneficiary or otherwise. Under no circumstances will Just Drive be liable to any third party for indirect, incidental, special or consequential damages arising from or related to this agreement or use of Just Drive vehicle and service. The courts of Surat, Gujarat, India have the sole and exclusive jurisdiction in the event of any legal dispute or conflict between Just Drive and its users arising from the services of Just Drive. The user must pay Just Drive’s attorney fees and bear the cost of legal proceedings relating to this agreement, including appeals. A user must immediately notify and deliver to Just Drive every summons, complaint, document, or notice of any kind received by the user in any way relating to an accident, theft, or other circumstances related to the Just Drive vehicle. If any term, provision, covenant or condition of this Agreement is held invalid or unenforceable for any reason, the remainder of the provisions will continue in full force and effect as if this Agreement had been executed with the invalid portion eliminated. The Parties further agree to substitute for the invalid provision a valid provision that most closely approximates the intent and economic effect of the invalid provision. This Agreement, together with the User Guide, Trip Process, member application, Fee Policy / Rate Schedule, and any applicable consent forms, along with any amendments hereto, encompasses the entire agreement between user and Just Drive, and supersedes all previous understandings and agreements between the user and Just Drive. The user acknowledges and represents that he or she has not relied on any representation, assertion, guarantee, warranty, collateral contract or other assurance, except those set out in this Agreement, made by or on behalf of any other party or any other person or entity whatsoever, prior to the execution of this Agreement. Rental charges will apply on an hourly basis. Time between 0 to 59 minutes shall be considered by Just Drive as a complete hour and the rental charges will be calculated accordingly. E.g. If a user books a vehicle for 4 hours 15 minutes, the booking duration will be considered as 5 hours for the calculation of rental fees. All charges are inclusive of GST. Just Drive retains the rights to change rental rates at any point of time. Please refer our latest rates for more information. In the case of speeding beyond 120 km/h in case of cars, the user will be notified by SMS and a penalty of INR 500 will be levied for every offence. Maximum charges for over-speeding is Rs.1000. If a customer is found drunk at the time of drop , INR 1000 fine will be levied along with the damage cost. Also, the customer will be liable for the complete damage repair cost. If customer drops the vehicle at any other Just Drive location, apart from the pickup location, INR 1500 will be fined. Additionally, overtime charges will be fined if another booking coincides with the booking. Smoking is strictly prohibited in and around the vehicle. Penalty of INR 1000 fine will be charged, if found guilty. If the vehicle is retained beyond the duration for which it has been reserved, the user will be charged a penalty. A delay of 15 minutes over the rental period is permissible. In the case of further delay, for the first two hours in case of cars: (INR 500 + double the hourly charge) will be fined and for subsequent hours: (INR 250 x late hours + double the hourly charges). The charges for the time period of delay will be calculated as per usual rates given on the website. We are doing this to protect next user's ride experience. Just Drive shall bear no penalty imposed on the vehicle due to negligent driving on part of the user. Parking challans, if any will have to be borne by the user. In the event of clutch plate damage, the customer will be liable to pay for the damage cost of INR 10,000. In the event of any traffic rule violation or parking fine, the member must inform Just Drive immediately. Just Drive may ask for a copy of the challan in such an event. If the user damages or misplaces any attachment or accessory provided with the vehicle, Just Drive reserves the right to charge the appropriate amount from the user. A fine of INR 1,000 will be levied from the customer if the number plate is found damaged. If the user has incurred any dues over and above that of the initial booking amount when dropping off the vehicle at the drop off site location and is unable to settle the dues at that time, then the user will have to sign a declaration provided by us promising to settle the dues and leave the original documents of license, government ID, etc. as surety. The documents can be collected by the user from the site location once dues have been settled. In the event of user having any penalties/dues outstanding with Just Drive, Just Drive reserves the right to charge reminder fees and default interest. Just Drive also reserves the right to utilize third parties for the recovery of dues from a user. Just Drive reserves the right to prohibit a user from booking any rides until all dues associated with the user account have been paid to Just Drive in full. Please refer to our Damage Charges section for more detailed information regarding penalties and damage charges applicable as per policy. In case of dispute raised by a user, the Just Drive confirms if the user has used the service. If the service was not used, we track the payment with our payment partner and a full refund is initiated. If the payment is not captured at our end, we contact the payment partner to process the full refund for the user. Just Drive reserves the right to change the terms and conditions mentioned herewith. Notice of such changes will be intimated to the user in a timely manner. Such intimation shall be considered discharged when available and accessible from our Just Drive website or mobile application. Such intimation will be provided via email to the most recent email address provided on the User's profile, subsequent to article 1.3. IDAI database by itself or via NSDL e-governance Infra Ltd, an Authentication User Agency duly licensed by UIDAI via Digio.in before updating your account. Just Drive will use your Aadhaar number to verify your identity and to collect e-signs against the SLA documentations. Just Drive may use your demographic and biometric/OTP (Or any similar authentication mechanism) information for the purpose of Aadhar based authentication/e-KYC and e-sign. Just Drive may share the Aadhaar data with government law enforcement agencies in case of any legal case/theft etc. Just Drive stores your Aadhaar verified details in encrypted form and in no manner has the access to your real Aadhaar number. Only you can see your Aadhaar number in your profile.